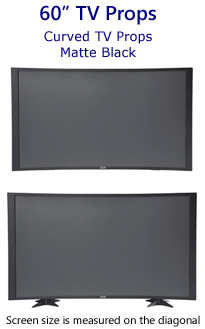 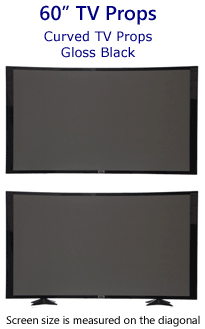 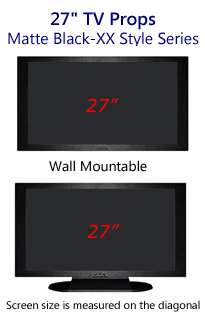 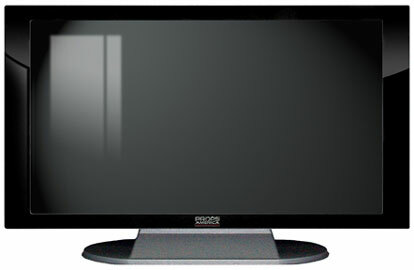 This faux 37" prop TV style has a black gloss (shiny) finished front bezel around the picture screen area and an ultra slim profile. 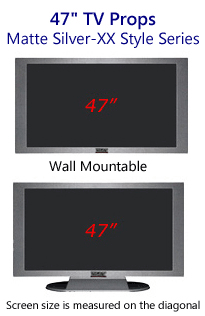 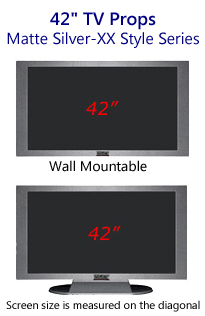 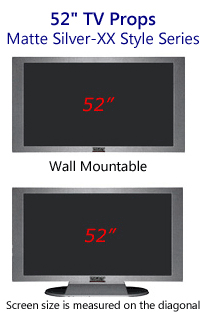 The back and sides of this 37" television prop are matte silver matching the base. 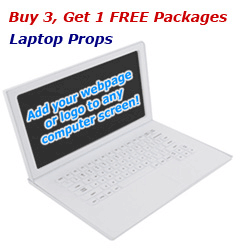 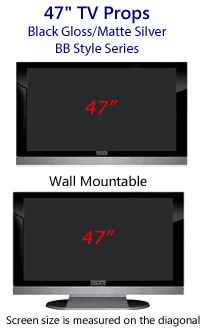 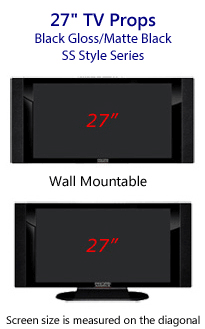 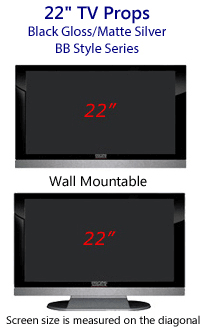 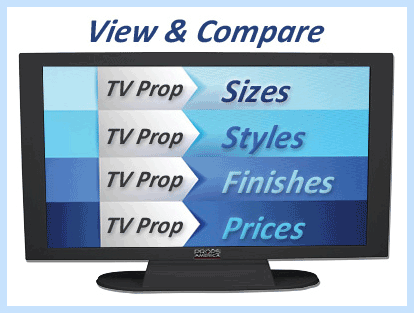 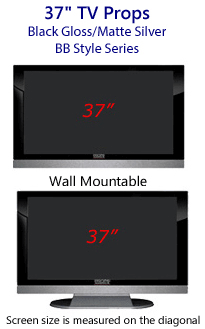 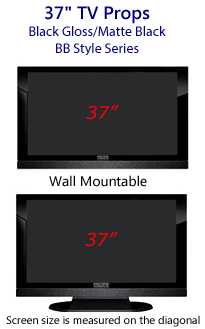 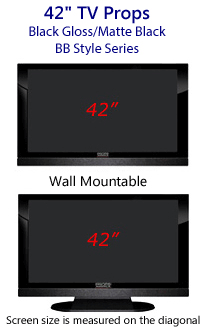 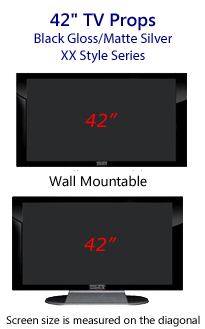 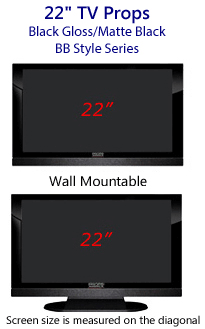 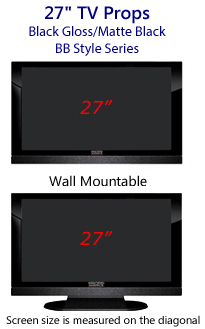 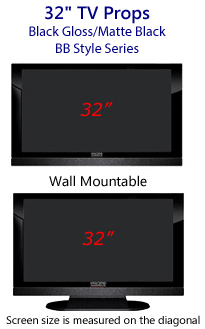 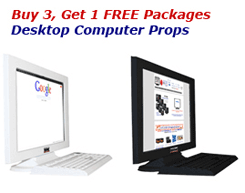 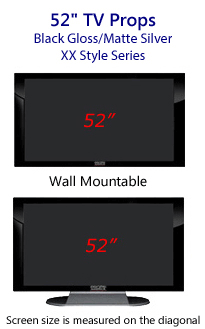 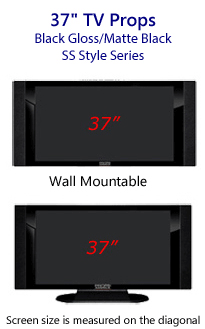 This is a beautiful 37 inch TV prop and one or our best selling TV prop styles for home staging and furniture stores.